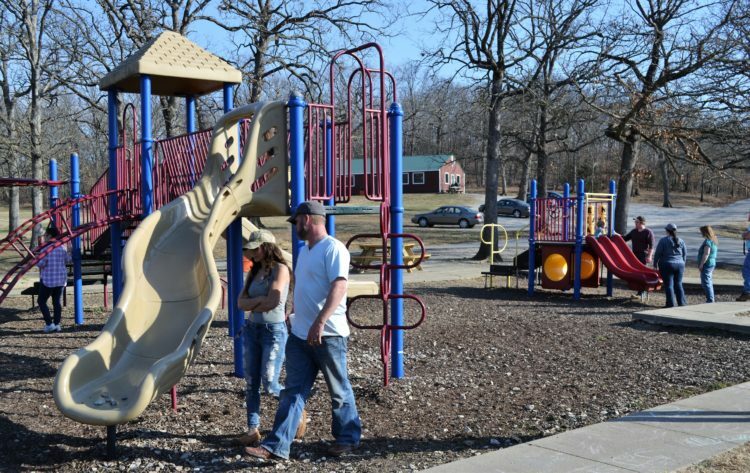 Several family groups took advantage of a warm Kansas day Thursday at Gunn Park. 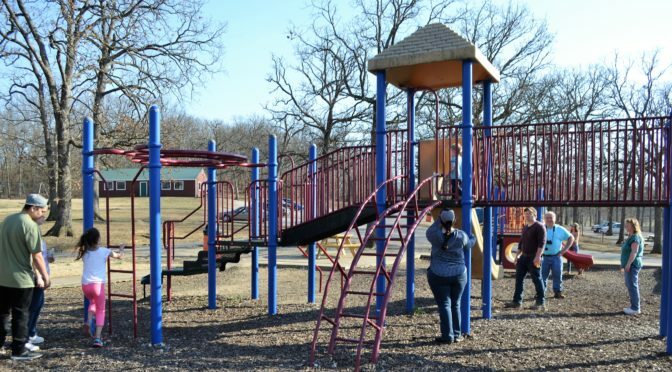 Temperatures were in the high 60s. 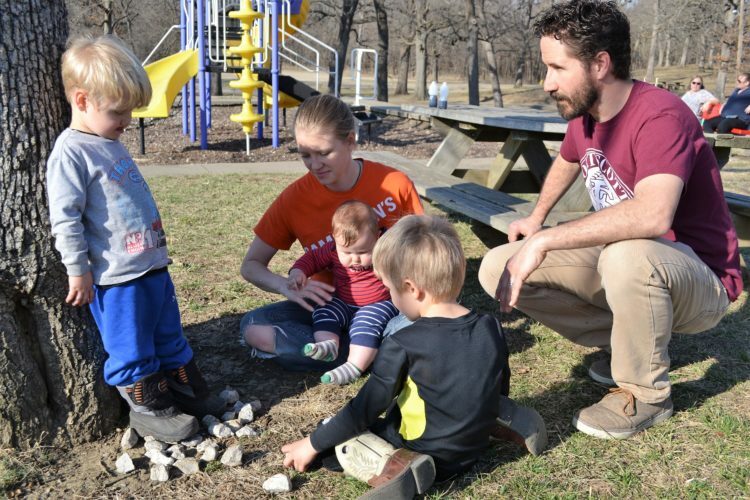 Clayton and Maria Whitson work on an engineering project lesson at Gunn Park Thursday afternoon with children Asher, left, Judah in his mom’s lap and Malachi. 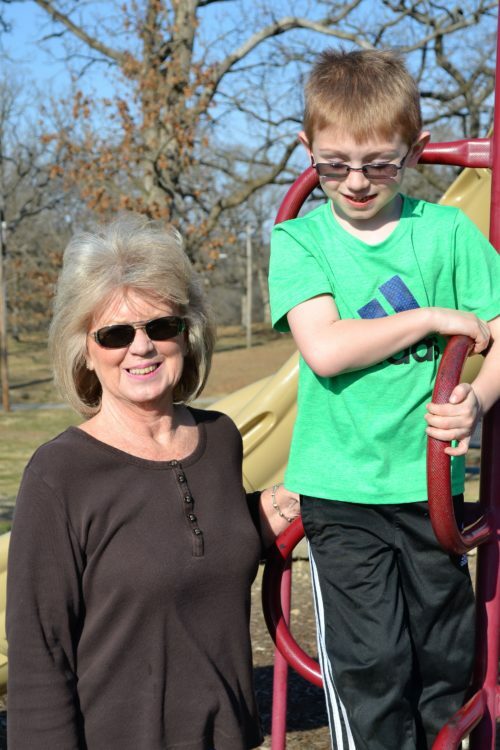 Joyce Metcalf and grandson Trey Arnold enjoy the warm Kansas day Thursday at Gunn Park. 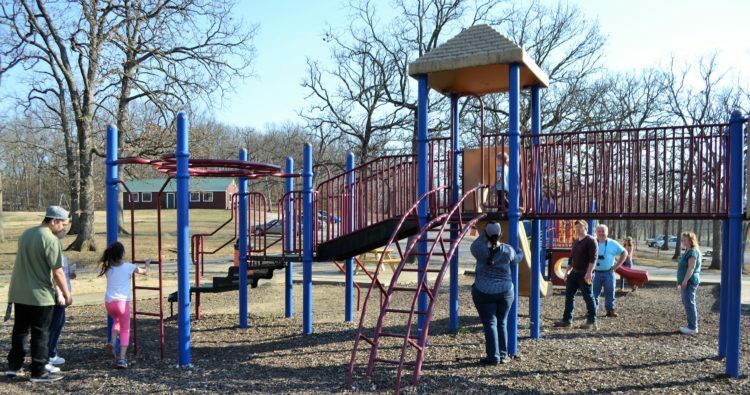 Metcalf said they are celebrating the beginning of school spring break.